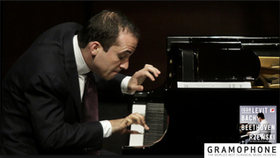 Igor Levit has established himself as "one of the essential artists of his generation" (The New Yok Times). The press attests to his performing with a "wealth of meaning without artifice" (Washington Post) leaving the listener "speechless with amazement and admiration" (The Telegraph). 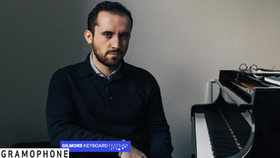 In January 2018, Igor Levit was named the Gilmore Artist 2018, and in May 2018, he was named "Instrumentalist of the Year" at the 2018 Royal Philharmonic Society Music Awards. 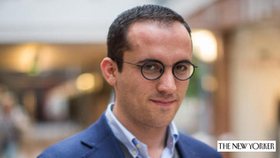 Born in Nizhni Nowgorod in 1987, Igor Levit at age eight moved with his family to Germany. 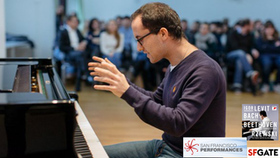 He completed his piano studies at Hannover Academy of Music, Theatre and Media in 2009 with the highest academic and performance scores in the history of the institute. 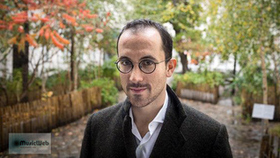 Igor Levit has studied under the tutelage of Karl-Heinz Kämmerling, Matti Raekallio, Bernd Goetze, Lajos Rovatkay and Hans Leygraf. 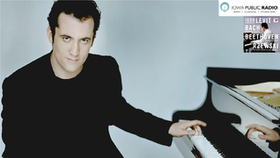 As the youngest participant in 2005 Arthur Rubinstein Competition in Tel Aviv, Igor Levit won the Silver Prize, as well as the Prize for Best Performer of Chamber Music, the Audience Favorite Prize and the Prize for Best Performer of Contemporary Music. 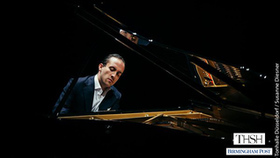 In Berlin, where he makes his home, Igor Levit is playing on a Steinway D Grand Piano kindly given to him by the Trustees of Independent Opera at Sadler's Wells. 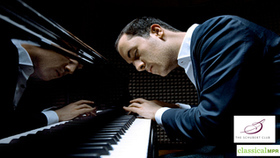 New Yorker music critic Alex Ross places Igor Levit as one of "the most promising pianists of his generation." 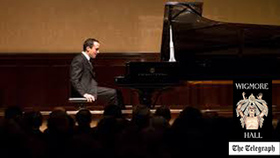 On Wednesday, Feb. 17, Levit - a Russian-born, German pianist - makes his Schubert Club debut with a recital of pieces by Bach, Beethoven, Schubert and Prokofiev. 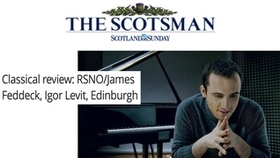 (In January 2016, Levit was featured in an episode of New Classical Tracks.) For the first time ever, Classical Minnesota Public Radio will broadcast this concert live from the Ordway Music Hall in St. Paul. 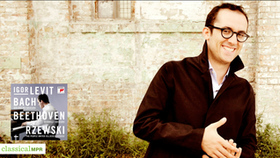 Join host Elena See for the live broadcast of this Schubert Club event. New Classical Tracks is a Syndicated Feature airing Nationally on Classical 24 & Statewide on Minnesota Public Radio. 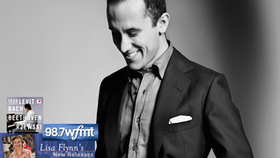 Listen to Julie Amacher's Feature with Igor Levit. 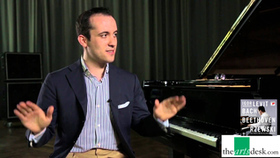 READ THE TRANSCRIPT - Igor Levit is a 28-year-old Russian/German pianist. 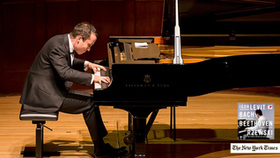 If you look up just about any article on this young artist you'll see he's often referred to as "the future of piano." Perhaps that's because his goal is to explore human nature from every angle through music, and he demonstrates that through his most recent release. 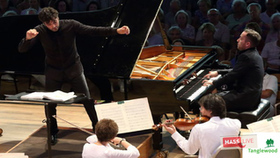 It's a three-CD recording featuring three of the most demanding keyboard cycles: Bach's Goldberg variations; Beethoven's Diabelli Variations, and Rzewski's "The People United Will Never be Defeated." Recording any one of these variations would be quite a feat, so I asked Igor why he decided to record all of these variations into one marathon package. "I think they speak to each other, they create an incredible atmosphere, they are incredibly human, the human idea is really strong in these pieces," he explains. "And I wouldn't want to record Goldberg only or Diabelli only or 'People' only. I really thought that these compositions belong together. They are unique among any variation cycles, I think, ever written for piano. So when I had the chance to record all three of them over a year - it took me a year to record them, but it took me 12 years to work on them … of course, there was no doubt to do it." Most recently, Levit teamed up with artist Marina Abramovic for a bare-bones performance of Bach's Goldberg Variations at the Park Avenue Armory in New York City. Igor told me this humbling experience has forever changed his approach to this set of variations. "What happens is - that once people go get into the Park Avenue, they have to leave their mobile phones, their watches, laptops, iPads, whatever, in a locker," he says. "They get noise-canceling headphones. They walk into the space and then there's nothing. It's just silence. So for 30 minutes, people are just there in total silence. And after these 30 minutes, once I arrive in the middle of the space, then once I start playing, there's nothing else than the music." 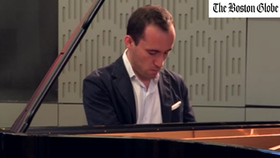 Of the three works on this recording, Igor Levit has probably lived with Beethoven's Diabelli variations the longest. 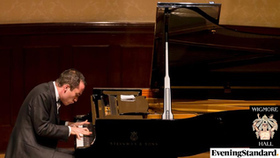 It was first introduced to him by his piano teacher when he was just 15 years old. "He said, 'I think the Diabelli Variations are going to be your piece. Look at it.' So he gave me the pages and they were in the wrong order. So basically I started reading from the middle of the piece and it was quite exciting. "What I think is very important about it is the experience of expressions. Beethoven writes this most incredible piece, 33 variations. And what you experience, very often, is that … it's like if you cook with ingredients which do not fit together at all. Sometimes, within one variation there are emotions which do not fit together at all. In the end, though, you realize, 'Hey. That's the one and only possible way.' And you make this incredible journey from the theme … to the end. Once someone from the audience came and said, 'There's this one variation - it sounds like a musical Tourette's Syndrome.' And I always answer, 'What is so bizarre about that?' That is what human nature is about. All of us, we experience that. So what you experience here in this piece, again, among many, many other experiences, is the pure most intense picture of the human nature. Everything is in it." While he was working on both the Diabelli and the Goldberg variations, Igor Levitt decided to also master another very challenging set by American composer Frederic Rzewski. Igor was just 16 when he discovered "The People United Will never be Defeated," and he was absolutely amazed. He ordered the music and was absolutely horrified he couldn't play a note at the time. "But since then I've been working slowly on 'The People United'," he admits. "I realized that this piece, 'The People United,' really is one of the most significant compositions, musical works, ever written by one of the significant composers of our time. And I think this piece is right up there with Goldberg and Diabelli. And I know for some people that sounds provoking, but I stand there and say absolutely this is the case." 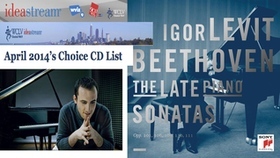 Music that explores the human condition by Bach, Beethoven and Rzewski all compiled into one complete collection by Igor Levit, a young artist who is molding the future of classical music. 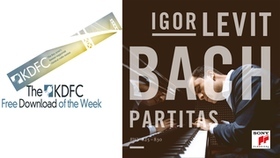 This week on New Classical Tracks, you can enter for a chance to win a copy of Igor Levit's Bach: Goldberg Variations, Beethoven: Diabelli Variations, Rzewski's 'The People United will Never be Defeated' three-CD set. Winners will be drawn at random. Be sure to enter by midnight CST on Tuesday, Jan. 19, 2015. 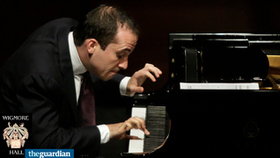 Igor Levit's Southern California debut Tuesday night was a moderately attended recital in Beverly Hills at the Wallis Annenberg Center for the Performing Arts. Born in Nizhny Novgorod in 1987, Levit has garnered impressive reviews. But with so many fine Russians ever coming down the pipeline, one can get little blasé. 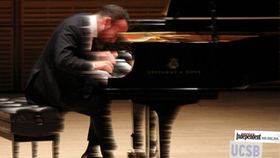 Levit began his mostly conventional program with Bach's First Partita and with exquisite liquidity in his playing, Levit is modern, levitating Bach. He uses the pedal with great finesse to create a subtle lyrical flow, rather than attempt to achieve the effect of harpsichord clarity. He has a magical way with inner lines, which he causes to appear like stunning tropical fish swimming in an exotic, clear blue sea. But he's got rhythm. This was Bach with an almost jazzy character. Many critics, musicologists and music lovers believe Glenn Gould is the supreme interpreter of the Partitas, Goldberg Variations, and other keyboard works of JS Bach. 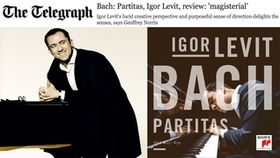 Well, to those who believe Gould was not quite the last word on Bach, this new recording by the brilliant young Igor Levit may be the perfect antidote. Gould generally employed brisk tempos and relatively little legato phrasing. 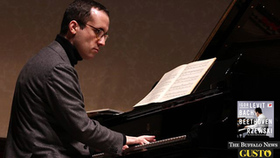 Levit doesn't exactly pour on the legato, but he does give the music a more flowing manner, much like you would hear in a traditional performance of a Beethoven sonata. With a few exceptions his tempos are generally not very fast, yet he never plods or bogs down either. He is a centrist, damning as that description might sound to some. But he is an intelligent, sensitive centrist who delivers this music with consistent feeling and good taste. READ THE FULL Classical.net REVIEW. 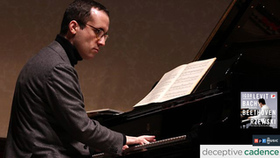 Igor Levit is a comparatively new – or at least newly discovered – star in the pianistic firmament, having made his first powerful showing on disc in 2013 with a programme of Beethoven's last five sonatas. Here he turns back to the Baroque for Bach's six Partitas BWV 825-830, and the result is no less riveting. 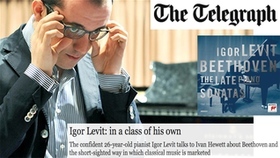 Levit, who was born in Russia in 1987 and now lives in Germany, has already acquired a reputation as a thinker as well as a wizard technician, and you can readily appreciate the thought that has gone into the crafting of the melodic contours and the balance of piano timbres of these six partitas. READ THE FULL Telegraph REVIEW. 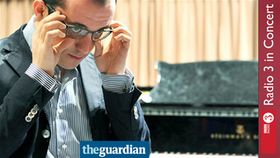 If you drew up a checklist of the world's most brilliant young pianists, Igor Levit would be near the top. 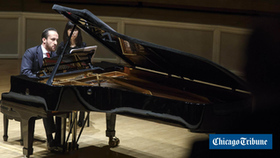 This Russian-born, German-domiciled pianist is undoubtedly young – he's only 26. And anyone who's heard him play Beethoven's Diabelli Variations will know he has pianistic brilliance in spades. But Levit has something else, which for me and many others puts him in a class of his own. I saw and heard that quality only a few months ago, when he played Beethoven's Triple Concerto at the Barbican with Maxim Vengerov and Antonia Meneses. The other two were wonderful in their way, but it was Levit who really riveted me. He nurtured and caressed every phrase, in a way that seemed to stamp the music with its ideal shape. The same is true of his debut recording of Beethoven sonatas. Everything has that special clarity and freshness the world has when the sun comes out after rain. And mingled with this is another quality, a tact which humanises the clash of ideas in Beethoven's music. It's like a conversation where at first one person asserts himself, and the other one gives way – but later on they swap roles. All this gives a feeling of profound insight, which is a long way from the impetuousness of youth. 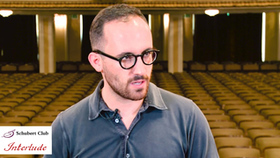 In fact when I meet Igor Levit just before the Royal Philharmonic Society Awards (where he carried off the Young Artist Prize), he bristles at the suggestion that his youth has any bearing on anything. READ THE FULL Telegraph INTERVIEW. 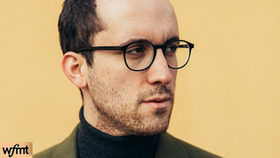 Igor Levit is one of the classical world's hottest rising stars, recent winner of BBC Music Magazine's 2014 newcomer award, and on the strength of his radically fresh, unpretentious approach to what's something of a concerto warhorse, you could see what all the fuss is about. It was a remarkably gentle, wide-eyed performance, never lacking inner strength but unafraid to linger as if discovering melodies for the first time, and played with touching sincerity and utter conviction. The bombast and bravado so often forced upon the Concerto were nowhere to be found – in Levit's hands, for instance, the opening's famously pounding chords were calmly placed with quiet assurance – and his singing tone and beautifully balanced phrasing were truly exceptional. 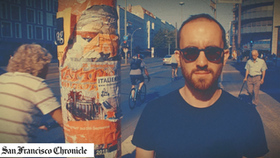 It might have been a touch too reserved for some – and admittedly, the finale never really caught fire – but after Levit's transformative account, you'd never hear the piece in the same way again. The RSNO gave beautifully subtle, nuanced support, but elsewhere, under young US conductor James Feddeck standing in for an indisposed Santtu-Matias Rouvali, things were a bit more hit and miss. The concert opened with a punchy, characterful Stravinsky Circus Polka, but Feddeck's account of Prokofiev's Classical Symphony felt too weighty to truly sparkle, and Stravinsky's Divertimento from The Fairy's Kiss made a rather unconvincingly understated climax. 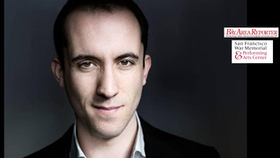 Hot on the heels of his BBC Music Magazine award for Best Newcomer, pianist Igor Levit has been nominated for The Royal Philharmonic Society Young Artist Award. The nominations were announced live during BBC Radio 3 In Tune by presenter Sean Rafferty on 15th April, 2014. 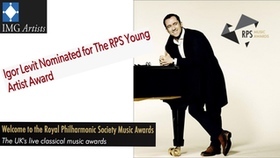 The Royal Philharmonic Society [RPS] Music Awards, presented in association with BBC Radio 3, are the highest recognition for live classical music and musical excellence in the United Kingdom. 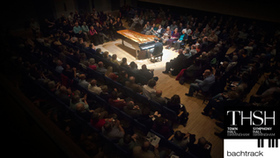 Awards in 13 categories are chosen by eminent independent juries from the music profession and are unique in the breadth of musical achievement they span – from performers, composers and inspirational arts organisations to learning, participation and engagement. The list of winners since 1989 reads as a roll call of the finest living musicians. This year's awards are for achievement in the UK during 2013. Winners will be announced at the RPS Music Awards ceremony on Tuesday May 13th with a special RPS Music Awards programme broadcast on BBC Radio 3 on Sunday May 18th at 10pm. 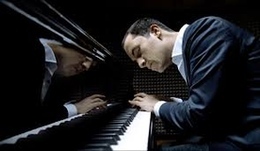 For the last three years, Igor Levit's name has been the first to be mentioned whenever there has been talk of the most exciting of the younger generation of pianists. 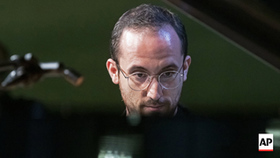 What is so surprising about Levit is not only the maturity of his interpretations, but his boundless appetite for new repertoire of works as difficult and demanding as possible. 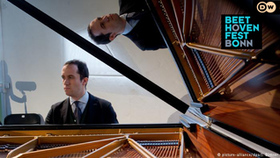 For his long awaited debut album, the twenty-six-year-old Levit has chosen some of the most challenging repertoire ever written for piano: Beethoven's last five piano sonatas. 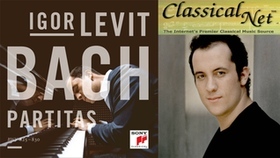 On his two-CD debut set, Levit is not just another young aspiring pianist releasing his debut album, but rather an outstanding artist who meets the exceptionally high demands of this extraordinary music. Levit's technical and artististic command in the difficult "Hammerklaviersonate" op. 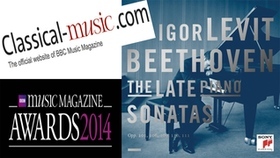 106 is sure to be recognized as one of the most astounding accomplishments in recent history of Beethoven recordings. 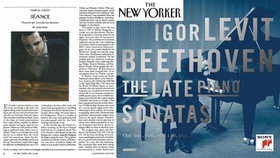 Pick up this week's 'New Yorker' to read the Alex Ross article. Each month, WCLV: Cleveland Program Director Bill O'Connell selects a series of special CDs to be featured on the air throughout the month. 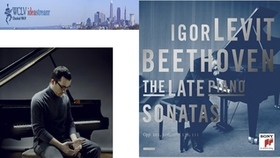 Igor Levit's Beethoven: The Late Piano Sonatas - Nos. 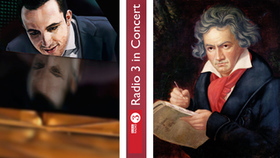 28-32 on Sony Classical features on Thu 4/3, Mon 4/14, Wed 4/23. 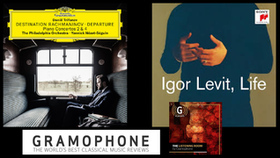 "All of the positive attention and high praise that 26-year-old pianist Igor Levit has garnered in Europe is thoroughly justified by his Sony Classical debut release encompassing Beethoven's last five sonatas. 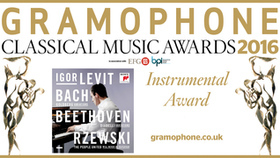 Levit's affinity for the composer's essentially linear style and intense expressivity borders on clairvoyance… This is Beethoven playing of the highest distinction, not to be missed." Jed Distler, ClassicsToday.com. 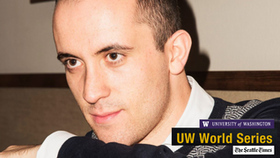 Listen to Mr. Levit's conversation with WCLV's Angela Schmidt. 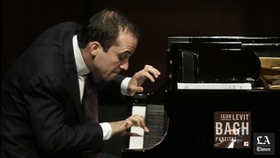 For the last three years, Igor Levit's name has been the first to be mentioned whenever there has been talk of the most exciting of the younger generation of pianists. He sat down with WCLV: Cleveland - Angela Schmidt to talk about his new recording of The Beethoven Late Piano Sonatas. 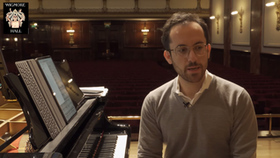 What is so surprising about Levit is not only the maturity of his interpretations, but his boundless appetite for new repertoire of works as difficult and demanding as possible. 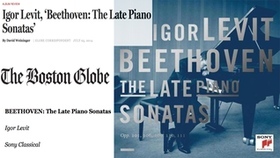 For his long awaited debut album, the twenty-six-year-old Levit has chosen some of the most challenging repertoire ever written for piano: Beethoven's last five piano sonatas. 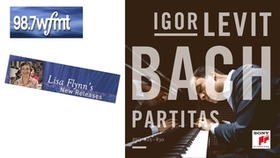 On his two-CD debut set, Levit is not just another young aspiring pianist releasing his debut album, but rather an outstanding artist who meets the exceptionally high demands of this extraordinary music. Levit's technical and artististic command in the difficult "Hammerklaviersonate" op. 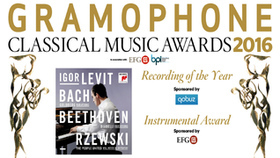 106 is sure to be recognized as one of the most astounding accomplishments in recent history of Beethoven recordings. 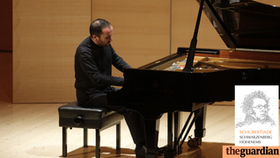 Igor Levit has received international acclaim since he appeared as the youngest artist ever at the Arthur Rubinstein International Piano Master Competition in 2005, where he won four awards. 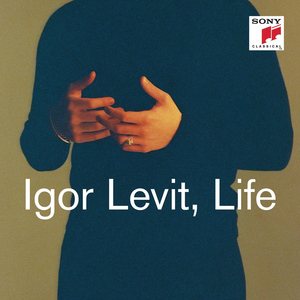 Born in Russia, Levit moved to Germany with his family at the age of eight. 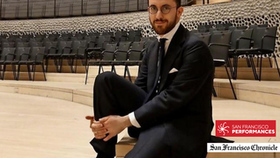 He is a graduate of the Hochschule für Musik in Hannover, where he achieved the highest grades in the academy's history. 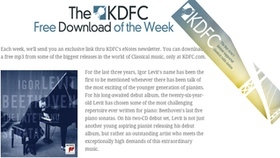 Each week, KDFC (San Francisco CA) eNotes newsletter recipiants can Download a free mp3 from some of the biggest releases in the world of Classical music, only at KDFC.com. 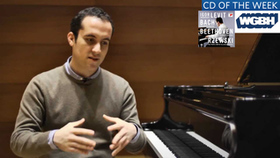 This week's pick is Igor Levit performing the Scherzo from Hammerklavier Sonata from his new Sony Classical disc; Beethoven - The Late Piano Sonatas. 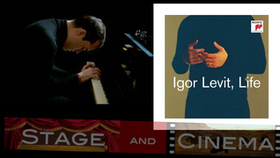 For the last three years, Igor Levit's name has been the first to be mentioned whenever there has been talk of the most exciting of the younger generation of pianists. 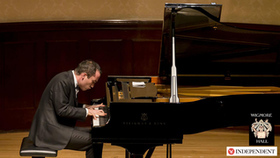 For his long-awaited debut album, the twenty-six-year-old Levit has chosen some of the most challenging repertoire ever written for piano: Beethoven's last five piano sonatas. 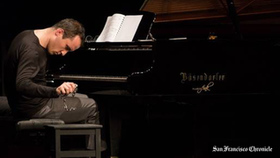 On his two-CD debut set, Levit is not just another young aspiring pianist releasing his debut album, but rather an outstanding artist who meets the exceptionally high demands of this extraordinary music.